Carey Robinson and his daughter Sara, 5, dance together. 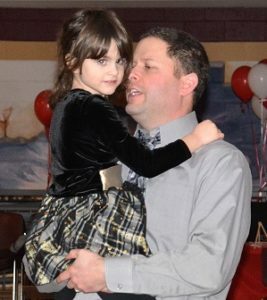 Northborough – Kids and grown-ups wore their fancy attire Feb. 10 when they attended the second annual Gala Jr. at the Algonquin Regional High School cafeteria. 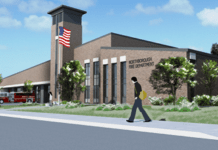 Proceeds from the evening fundraiser go to the Northborough Education Foundation (NEF). Deejay Michael Rutkowski taught dance moves and led many games with prizes. Hors d’oeuvres and desserts were served with pink lemonade. 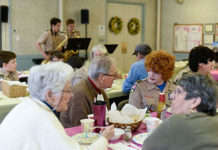 A raffle with prizes of an iPod and two oversized stuffed animals raised additional funds. NEF provides funds for programs not covered by the school budget. In 2017, NEF awarded $36,075 in school grants. For more information, visit northboroughed.org and on Facebook at facebook.com/northboroughed. 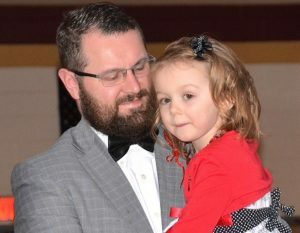 Ava Beyranevand, 5, and her father Michael dance together. 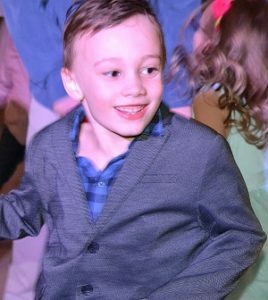 Miles Shortill, 6, learns dance moves. 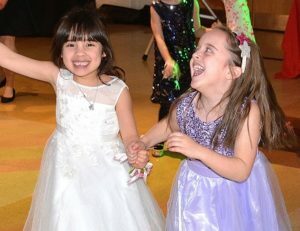 Abigail Bench, 5, and Madeline Lee, 6, have fun on the dance floor.